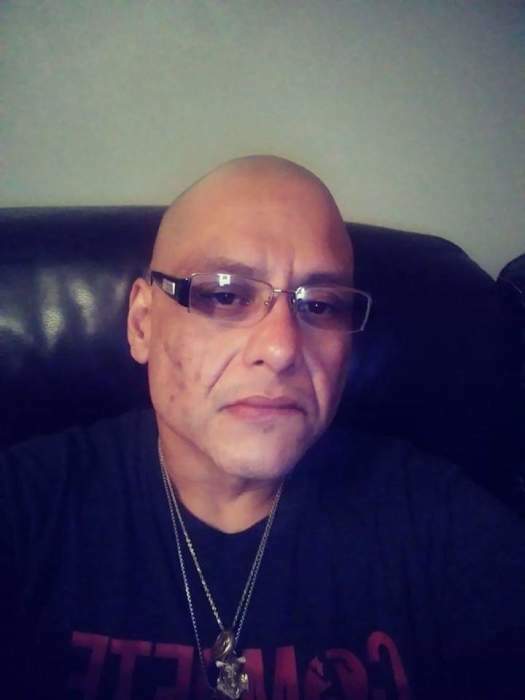 Jamie Lopez, 44, of Beeville, died Friday, April 12, 2019, in Corpus Christi. Mr. Lopez was born Oct. 14, 1974, in Beeville to Nicolas and Alma R. (Martinez) Lopez. He graduated from high school and was self-employed. He was a Catholic. He was preceded in death by his dad, Nicolas Lopez; and grandparents, Tiburcio Lopez and Felipa (DeLaRosa) and Luis “Georgete” Martinez. Survivors include a son, Nicholas Lopez; a daughter, Amber Lopez; his mother, Alma R. Lopez; a brother, Jason Lopez; four sisters, Jessica L. (Richard Lee) Gonzales, Jennifer R. (James) Selby, Nicole (Elmo Arroyos) Lopez and JoAnna (Oscar Franco) Lopez, all of Beeville; 10 nieces and four nephews. Visitation will be held from 5 to 9 p.m. today (Wednesday) at Treviño Funeral Home with a rosary recited at 7 o’clock. The funeral service will be conducted there at 2 p.m. Thursday with Deacon Roger Rosenbaum officiating. Burial will follow at Our Lady of Victory #2. Pallbearers will be Antonio Moreno, Oscar Franco, Jason Lopez, James Selby, Mark Gonzales and David Garcia. Honorary pallbearers will be Richard Gonzales and Nicholas Lopez.